"Respect and humane care for every animal ..."
We've always believed that the best way to care for animals being raised for food isn't some new idea or discovery... it's simply raising them in the most natural way so they are healthy and happy. This means not only following our own strict humane protocols for care and handling and diet, but going a step further to be regularly audited by third-party certifiers. Our cattle live the contented lives of pastured animals without the stresses of confinement. 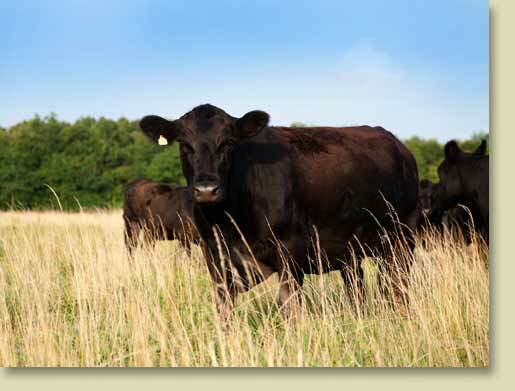 They stay healthy because of their healthy, natural diet of 100% grasses and their outdoor pasture lifestyle. They grow and mature naturally by genetics, not growth hormones. Pacific Pastures follows the same animal welfare protocols of Whole Foods. 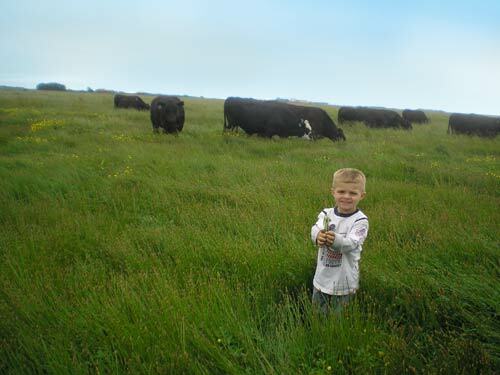 Our parent company, Eel River Organic Beef, has been awarded a Step 4 rating for "Pasture Centered" animals. We're proud to have the Global Animal Partnership (GAP) 4 rating on most of our beef. When we talk about the pastured lifestyle, we're also talking about the nutritive quality of the grass our cattle are eating because a healthful diet dramatically increases the quality of life of a cow. Cows by nature are grass eaters, so the better quality the grass, the healthier the animal. Lots of our customers want to know more about the type of grass our cows eat. Below are some photos taken in our pastures. You can be confident of our humane animal care and handling when you buy our Pacific Pastures 100% natural grass fed beef. It's just one more reason to feel good about buying Pacific Pastures. Contact us for questions or feedback.